Reviews of the Sony FE 16-35mm F2.8 GM from around the web. If you haven't read our hands-on report on the new Sony FE 16-35mm f/2.8 GM lens by Jaron Schneider, it might be a good idea to give it a look. In this Field Test, I'll try to augment Jaron's comments and talk about a couple of additional features and functions of this excellent optic. 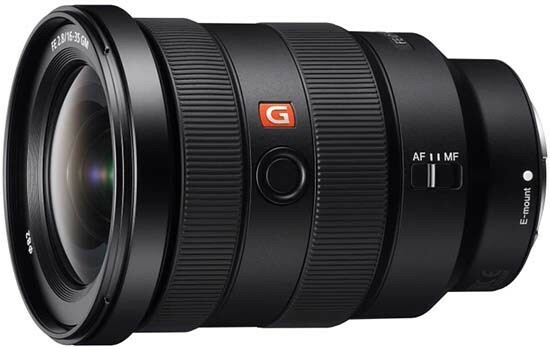 As Jaron noted, the FE 16-35mm f/2.8 is an important addition to Sony's full-frame mirrorless FE lens lineup. It fills out the company's so-called "holy trinity" of professional zooms -- the wide, mid, and telephoto f/2.8 zooms lenses that are a key requirement of any general-purpose professional camera system.